VATICAN CITY Members of the Vatican police force said Wednesday they found thousands of documents hidden inside the home of Pope Benedict XVI's former butler, including original documents signed by the pope bearing indications they should be destroyed. 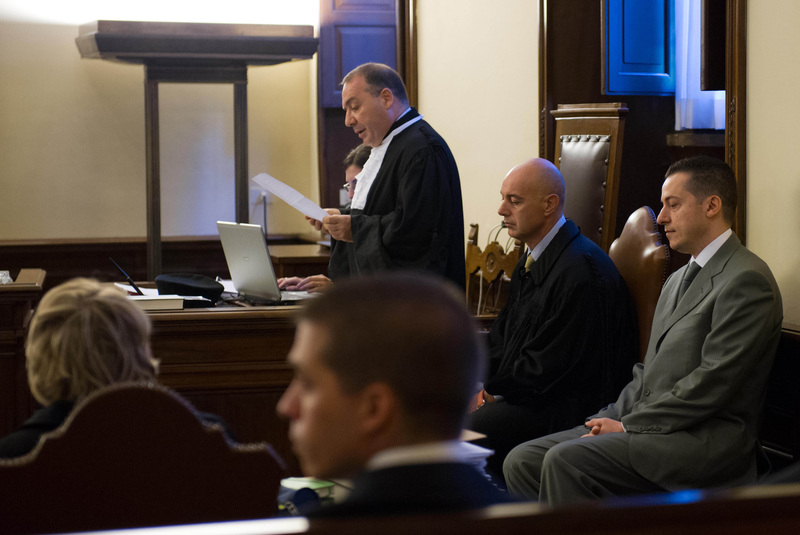 The police officers were testifying in the trial of Paolo Gabriele, the pope's once-trusted butler who faces four years in prison if convicted of aggravated theft for stealing papal documents and leaking them to a journalist. The final four witnesses were heard Wednesday and closing arguments are set for Saturday, when a verdict by the three-judge Vatican panel is expected. Vatican police inspector Silvano Carli said that of the hundreds of thousands of documents seized from Gabriele's home  they filled 82 moving boxes  about 1,000 were of interest since they were original or photocopied Vatican documents. Some came from the pope's office, some carried the processing codes of the secretariat of state, others originated in various Vatican congregations "and some documents concerned the total privacy and private life of the Holy Father," said police officer Stefano De Santis. He said some of the originals carried the pope's handwriting with a note to destroy them written in German. Some were reproduced in journalist Gianluigi Nuzzi's book "His Holiness: Pope Benedict XVI's secret papers," he said. The rest of the documentation concerned esoteric religious issues and academic research into Freemasonry, Christianity, Buddhism, yoga and politicians, as well as the Vatican Bank, the officers said. "'See how much I like to read and study,"' De Santis quoted Gabriele as telling the officers during the search of his home. Prosecutors have said Gabriele, a devout 46-year-old father of three, confessed to leaking copies of the documents to Nuzzi because he wanted to expose the "evil and corruption" in the church to help put it back on the right path. Gabriele said Tuesday he stood by his June 5 confession and acknowleged he betrayed the pope's trust, but he nevertheless pleaded innocent to the charge of aggravated theft. The security breach within the pope's own entourage has been one of the most damaging scandals of his seven-year papacy.